This was such a great post. So encouraging and I love the analogy! Please don’t think I am stalking you – I rarely have time to read a lot of blogs but yours is just an easy read… you will not believe it but another area of our likeness – I cleaned houses for 8 years before last August going full time where I work now. I could tell with the speeding ticket that you are a usual on the go person as am I, and with the ‘maid’ in your title, I wondered if that meant cleaning houses – go go go people! Which spawns this desire to draw close to God… this solitude that you write about. I long for it and somedays, I realize that I shouldn’t be so busy or get to the point of wanting to ‘give up’ because of exhaustion. Anyway, love your blog! Glad we met! Haha! That is another amazing similarity! Well, that gives me hope! I’ve been cleaning for 13 1/2 years now and am hoping to go full-time writing one of these days (so keep stalking haha). I contemplated on changing the title of my blog but figure as long as I’m married I’ll always be somewhat of a maid 😅. It is hard work but I try to be content with what God has given me, although at times that’s hard work as well! In HIS time. 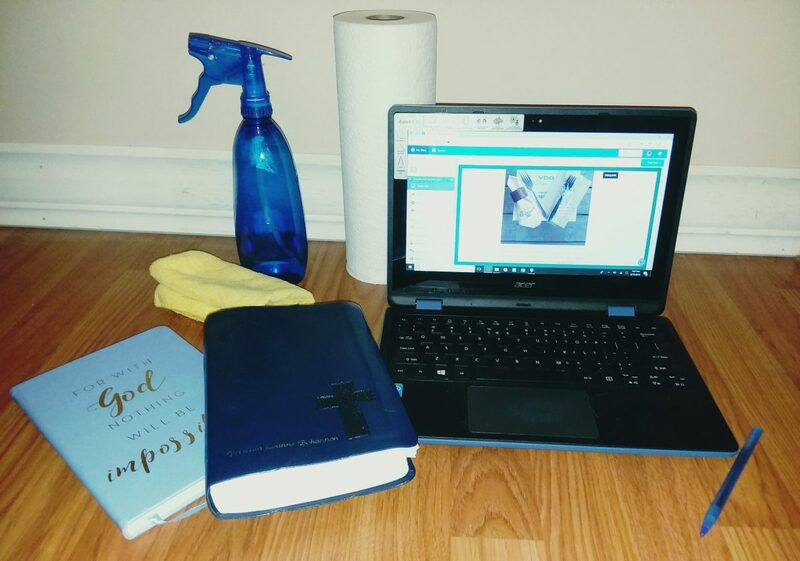 I look forward to ‘stalking’ your blog some more after I catch up with the evening chores! I’m glad we met too! Thank you so much for your encouragement! I saw that you have published a book, that’s amazing. I began blogging about a year ago to help me to find what sort of book I want to publish someday. Still unsure but one day I will get there. That would be awesome! It takes dedication but so does blogging so I know you can do it! Again, back to that solitude with the Lord, then with ourselves also to do these type things.